The story of HTC’s first 1080p tablet/smartphone hybrid has taken another turn today, as the company has announced the HTC Butterfly, its third variant and one which shares the original device’s name, albeit without the letter J. It’s being described as an “international” version of the J Butterfly/Droid DNA, but does that mean it’s headed to Europe and the UK? First, let’s look at the specification. 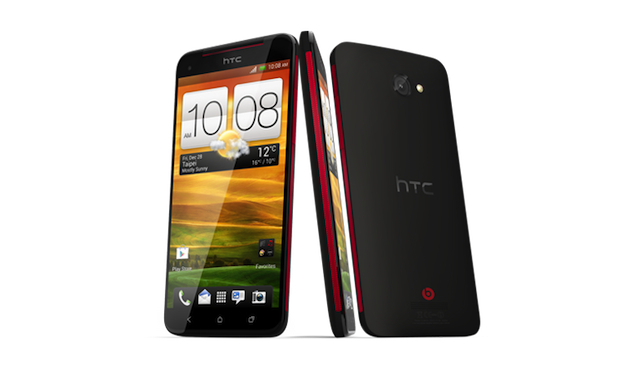 The HTC Butterfly has the same 5-inch, 1080p Super LCD 3 screen as the other versions, along with the quad-core, 1.5GHz Snapdragon S4 processor. There’s even the much-maligned 2020mAh battery hiding beneath the non-removable rear panel too. One key difference is the Butterfly has a microSD card slot to increase the internal storage memory over the standard 16GB, a feature not seen on the Droid DNA. Otherwise, the only difference lies with the radio. The Butterfly supports the usual GSM bands, plus WCDMA bands, which are home to the 3G network used by China Mobile. It seems then, the Butterfly is destined to fly only as far as China and other parts of Asia. We spoke to UK online retailer Clove Technology, who said there had been no word of a UK release for the Butterfly, while Pocket-lint confirms it has also had word from HTC that the phone won’t be the UK’s answer to the Droid DNA. The Butterfly may be the phone leaked as the so-called “global version” of the Droid DNA, seen shortly after the Verizon exclusive’s announcement, and may even be the official name of the HTC Deluxe. HTC’s announcement of the Butterfly comes the day after news leaked of the mysterious HTC M7, a phone rumored to be an upgraded version of the Droid DNA, which could be the star of HTC’s Mobile World Congress line-up next year. Perhaps it’s the M7 that will be the Euro version of the Droid DNA; unless HTC has yet another version of the same phone primed for release between now and then.